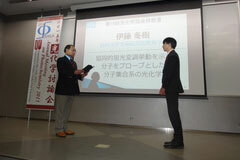 Specially-appointed Professor Morinobu Endo of the Institute of Carbon Science and Technology is awarded the Title of "JSAP Fellow"
Assistant Professor Kampei Hayashi of the Faculty of Education won the Best Poster Award at European Conference on Educational Research (ECER2015, Budapest). 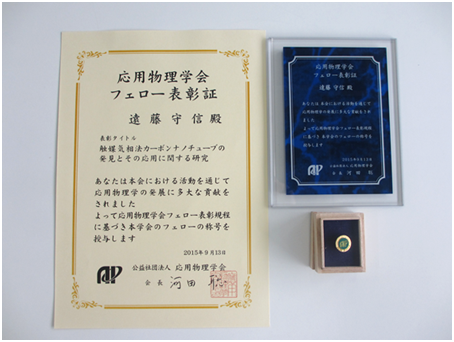 Associate Professor Fuyuki Ito of the Faculty of Education Science Education Group wins the Japanese Photochemistry Association Prize for Young Scientist! !